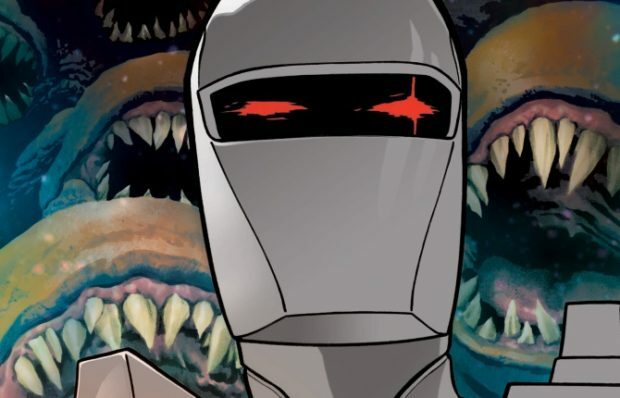 From his ravaged homeworld of Galador, ROM the Spaceknight will continue his battle for light on Earth — and, if Hasbro has its way, in movie theaters. Deadline reports that Zak Penn, screenwriter of Ready Player One, has been brought on board by Paramount and Hasbro’s Allspark Pictures to develop ROM for the big screen. If this happens, it may mean that their shared universe of Hasbro toys can grow beyond Transformers, though like many shared universes in the last couple of years, the plans have had their hiccups. Hasbro has high hopes for ROM, and with good reason. I joked about the figure above, but really, the problem in today’s market isn’t that ROM isn’t cool — he is. 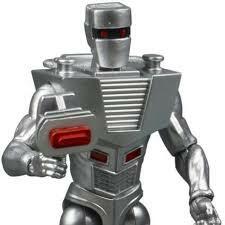 It’s that ROM wasn’t a toy line — it was just one figure. They never got to expand his universe for mass play appeal, but by linking him to other lines, such as G.I. Joe, Transformers, and please oh please, Micronauts, Hasbro has a built-in universe. At Comic-Con last summer, the toy company released a box set themed around the IDW crossover Revolution that included a smaller ROM figure with a Dire Wraith. That hasn’t been marketed separately, but should be.